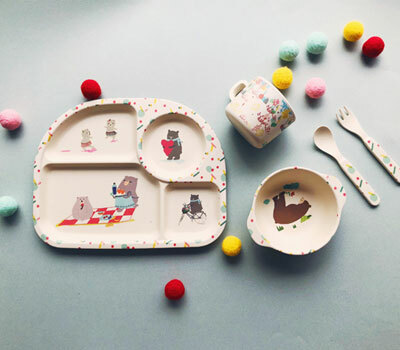 Suki Mc Master - childrens dining sets, swaddles, cups, posters..
Suki McMaster is a Melbourne-based maker of quirky and colourful fabrics, homewares, baby products, giftware and stationery. Her brand is about creating “Designs for Happy Homes”. She believes that colour, positivity and persistence can bring a whole lot of happiness and brightness to life! 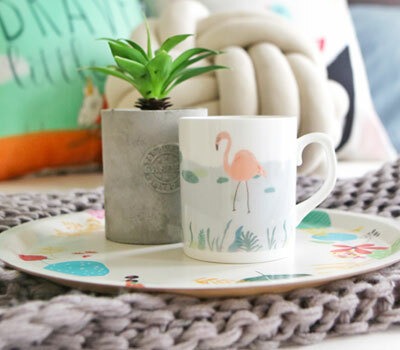 The products heavily feature floral and animals in vibrant colours, and are 100 per cent hand-drawn and designed by Suki McMaster. 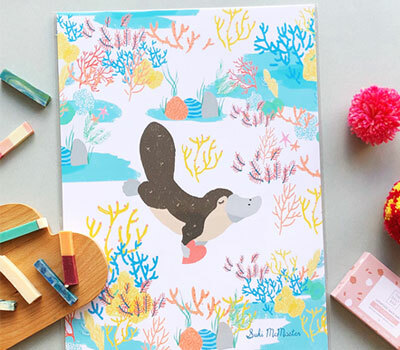 Designs for kids include posters, bamboo dining sets, blankets, cups and cushions. Suki and her husband moved from Sydney to Melbourne so that they could be closer to the creative community and their target market two years ago. Giving up her full-job was a brave decision and we can only congratulate her as she now has her own shop at South Melbourne Markets selling her own products with about 20 stockists around Australia. It’s only the beginning of the journey!